Audio leaks for rocker Richie Sambora threatening to kill his ex- Nikki Lund. 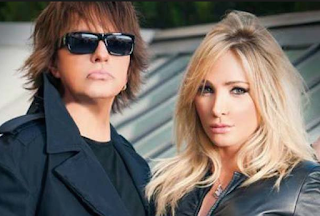 Guitarist Richie Sambora threatened someone in newly leaked audio — but authorities said it isn’t enough to charge him with criminal threats against former girlfriend Nikki Lund. The recording, obtained exclusively by the Daily News, includes a man making a menacing statement as he cautions someone to back off. “Don’t f---ing bother me about this anymore,” the voice attributed to Sambora says. Los Angeles County prosecutors quoted the tape in a charge evaluation worksheet that rejected the case Wednesday. It was the second time authorities declined to charge Sambora in the case. The document doesn’t identify Lund by name, but it refers to a March 31 police report she made, accusing Sambora of threatening her life. It says she, as the complaining witness, gave the alleged recording to police for the first time on Tuesday — a week after she learned authorities rejected her initial claim on May 5. Lund allegedly told police the recording was from April 20, “even though the recorded threat sounds nearly identical to the one listed in the March 31st police report,” the DA document states. Authorities cast further suspicion on the recording due to its length. “While this threat was clearly part of a much longer conversation, victim only provided to police a tiny portion (21 seconds) of the entire conversation,” the charging sheet reads. Reps for Sambora and Lund declined to comment. Sources told The News the audio actually was recorded March 19 and includes Lund and Sambora discussing their fashion company, NikkiRich. The former Bon Jovi guitarist allegedly said the company, which the two started in 2009, was losing money.